Saddle up friends! 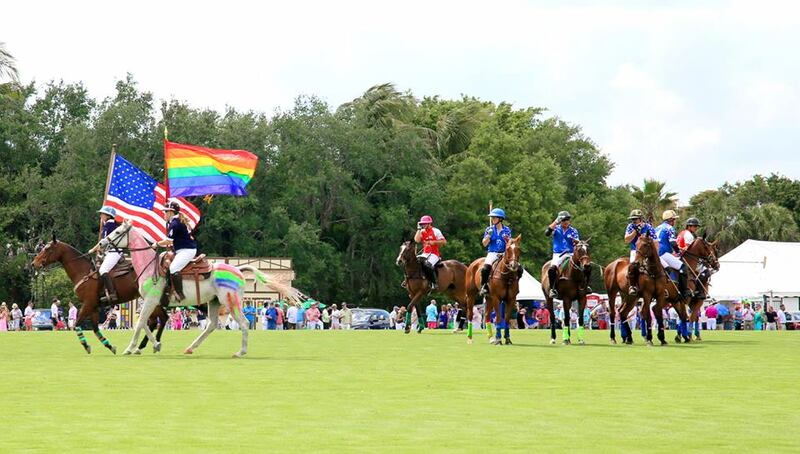 The Gay Polo League’s annual tournament is happening this weekend. The event has grown, and more participants are taking part in the tournament this year. Check out some of the highlights on the schedule this weekend! April 4th kicks it off with the Private VIP Party and the next day, on April 5th Polotini Presents WIGSTOCK! The Wigstock party is a poolside cocktail party with great entertainment, Hors d’oeuvres and plenty to drink of course. The entertainment will performances by Michael Dean as Cher and Velvet Lenore as Dona Summer with all the proceeds raised during the event donated to SAGE which supports LGBT seniors to ensure everybody has the right to age right respect and dignity. Saturday, April 6th the Polo tournament kicks off! General admission tickets are offered at $30 (bring your own chairs/ blanket) or tailgate with 6 friends for $395! On Sunday, April 7th the event concludes with a fabulous Sunday brunch at the Mallet Grille at the International Polo Club Palm Beach (including an open bar! ).